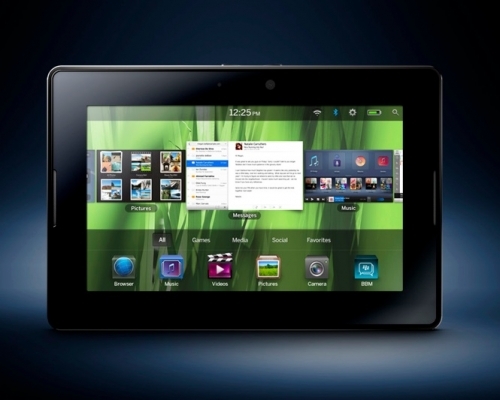 Analyst says BlackBerry PlayBook "dead on arrival" | BlackBerry Blast! BlackBerry Blast! > News > Analyst says BlackBerry PlayBook "dead on arrival"
Analyst says BlackBerry PlayBook "dead on arrival"
Will the BlackBerry PlayBook keep RIM relevant and in the game? The company is placing a lot of its hopes on its next big device, the BlackBery PlayBook. The tech world has been weeding through various rumors and reports of poor battery life, but excellent multitasking abilities. It's safe to say BlackBerry fans have been anxiously awaiting its arrival. Steve Jobs once famously said that other companies would find out that the 7" tablet was too small. Now, Wedge Partners principal Brian Blair suggests more doom for the PlayBook. Mr. Blair posted a note to investors on Tuesday stating that the upcoming BlackBerry PlayBook by RIM would be "dead on arrival." Blair went on to tell CNBC that, "[The BlackBerry PlayBook] will be sharply inferior to other tablets on the market and consumers won�t buy it. They are targeting it at enterprise but I believe very few will actually roll it out widely." One of the problems Blair noted was the need for the PlayBook to tether to an existing BlackBerry to get a connection. Will RIM's PlayBook be a flop? Stay tuned.